This belief has led her to give generously to many efforts to aid women: stopping violence against women, support of the ERA, and securing better treatment for female prisoners. She is on the board of the National Conference of Christians and Jews, the Women’s Network of the Girl Scout Council, and she chairs the literary panel of the Tennessee Arts Commission. She also is a founder of the Far Away Cherokee Association, which became the Native American Intertribal Association. She has read her poems on campuses across the nation, behind prison doors in Shelby County, and to countless children of Memphis. Marilou Awiakta is a woman who knows who she is and helps us see who we are or may become. She lives her Native American tradition that calls for the true artist to help create harmony and healing in the environment. She has fused her Cherokee-Appalachian heritage with the experience of growing up on the atomic frontier in Oak Ridge, Tennessee, and through her writing, lectures and personal interactions, all the while sharing her unique vision with us all. Marilou received the Distinguished Tennessee Writer Award in 1989 and the 1991 Outstanding Contribution to Appalachian Literature Award. Her third book, Selu: Seeking the Corn-Mother’s Wisdom was published in 1994. 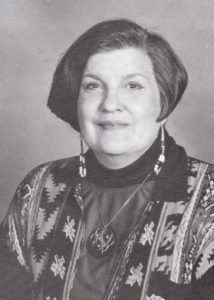 She and her work are profiled in the Oxford Companion to Women’s Writing in the United States 1994.